The Password:JDM V.2 Oil Cap needs no introduction. 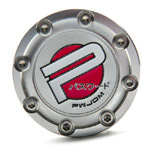 Simply put, the PWJDM V.2 Oil Cap is the cleanest on the market. Available in anodized black, blue, gold, gunmetal, purple, red or raw machined finish. 1. Outstanding Oxidation Stability at High Temperatures - ENEOS Motor Oil 5W30 meets the latest API SM standard for gasoline engine oils. It has about 1.8 times better high-temperature oxidation stability than conventional SL-grade oils.